MAY 23 PROGRAM at 6:30 p.m.
Don’t miss this great opportunity to see and listen to the Tucson Girls Chorus (TGC)! TGC is all about girls from five to eighteen learning to be confident leaders. Let’s be sure to have a great turnout to show our support to these young ladies! There is a short preview of their beautiful voices on YouTube (below). Tickets for the June luncheon “A Russian Adventure” will be sold before the start of our May program beginning at 5:30 p.m. Tickets are $20 each and are non-refundable. Make your plans and have a printed list of all ladies you are buying tickets for – only ten seats at a table please! This will make it so much easier for Nancy. We are in need of a few extra volunteers to assist at our monthly programs. If you have wanted to get more involved but weren’t sure where you could help – here is your opportunity (no public speaking required)! Our Blessings are Growing! Please join me in welcoming our new additions! Thirteen of 29 babies have arrived, with another 6 expected before the event! Our 2016 baby shower is now 4 weeks away and the ideas and hopes of the planning committee are being realized! We are still in great need of: wipes, pacifiers, Q-tips and baby wash. If you are in a store this weekend, please think of us and provide one last donation at the general program this Monday evening! We will be passing the baby bottles one last time at the Monday program, so bring that loose change you have laying around the house! We greatly appreciate all the support! Our donation boxes will be out until June 13 at Madera Clubhouse and the Rodgers front porch (2640 E Sawyer Road). After that date, any donations will need to be brought to the Rodgers home for inclusion. Please contact Pam Rodgers at 561-7969 or prodgersaz@gmail.com. Any monetary donations by check should be made out to TWOQC Charity Account. Again, thanks so much for all your support! … you have the opportunity to stand in the flag line for our Honor Flight Veterans! Kay Robinson is picking up one of the veterans. If someone would like to go and needs a ride you could meet her in front of the Clubhouse at 3:00 a.m. Please contact Kay at 495-4173 to arrange. Others may arrive before 5:00 a.m. to see them off. Here is a printable [FLYER] with all details on one page. TWOQC received a very kind thank you note from GVSCFB this week thanking us for our generosity of donating $90 and 70 pounds of food collected at the April 25 program! Please view their (letter). 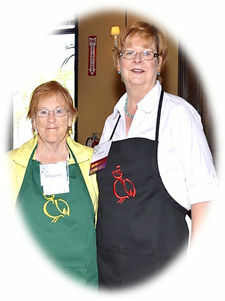 ♥ Margith Baker ♥ … we are looking forward to meeting you at the May program! Even though your donations were awesome last month the VA is still desperately looking for items you can no longer use. 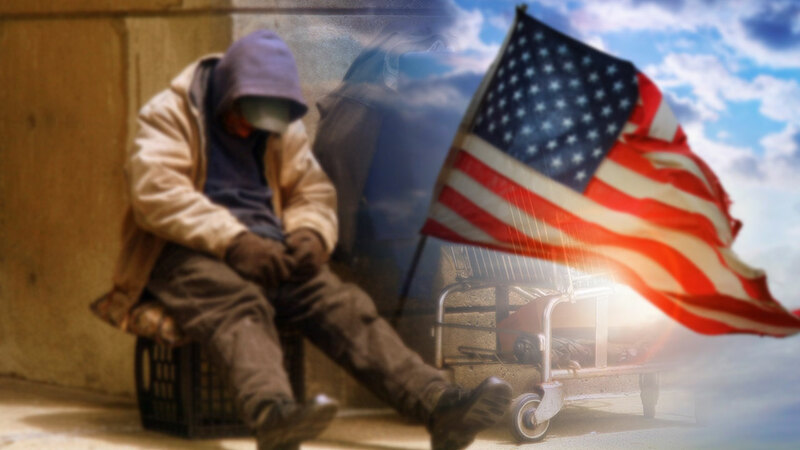 If your significant other or you have any summer weight clothing that is no longer needed, please consider donating it to the homeless veterans. They are especially in need of male tall and ladies clothing in plus sizes. Also needed are new socks, new underwear, caps as well as sunscreen and chap-stick. The VA would also appreciate unopened travel sized toiletries, calendars, greeting cards and note pads. Donations may be brought to the meeting on May 23 and placed on one of the tables at the rear of the ballroom. Receipts for tax purposes will be available. You may contact Peggy McGee now at pjmcgee@cox.net or 207-6188 or bring them to the program Monday, May 23. An apron will make a great Father’s Day or graduation gift. They will be on sale in the lobby starting at 5 p.m. on May 23. Aprons are $18 each or 2 for $35 with all proceeds going to Youth on Their Own, a program geared to encouraging homeless teens to stay in school. A monthly student living expense of up to $140 provides a safety net to help them manage daily needs. To be eligible to receive living expense support, students must have passing grades in all classes and meet school attendance requirements. Clipped and sorted coupons destined for overseas should expire April 1 or later. Coupons for the National Guard should expire June 12 or later. Please no unclipped coupons. Polo shirts will on sale for $20, cash or checks payable to TWOQC, just prior to our meeting on May 23. A variety of sizes are available. ♥ June 27 – 12:30 p.m. …Summer Luncheon: “A Russian Adventure” with The Arizona Balalaika Quartet performing under the direction of Mia Bulgarin Gay. ♥ July 25 – 6:30 p.m. – Roasting Beans for the Perfect Cup of Coffee presented by Anna Perreira, Yellow Brick Coffee. ♥ August 29 – 6:30 p.m. – Why Spiralize? Discover the Tips, Tricks & Taboos of Spiralizing! Presenter: Randy Wade from Cooking A-Z by, Tumacookery.